designer: joyCards. 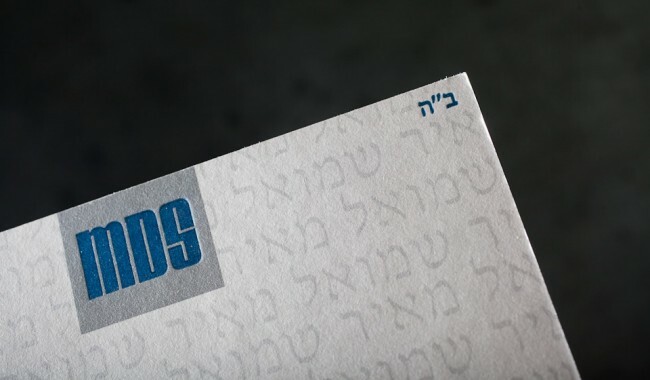 client: joyCards, Princeton, New Jersey. letterpress and offset printing. Smock white 2-ply bamboo + Stardream paper. 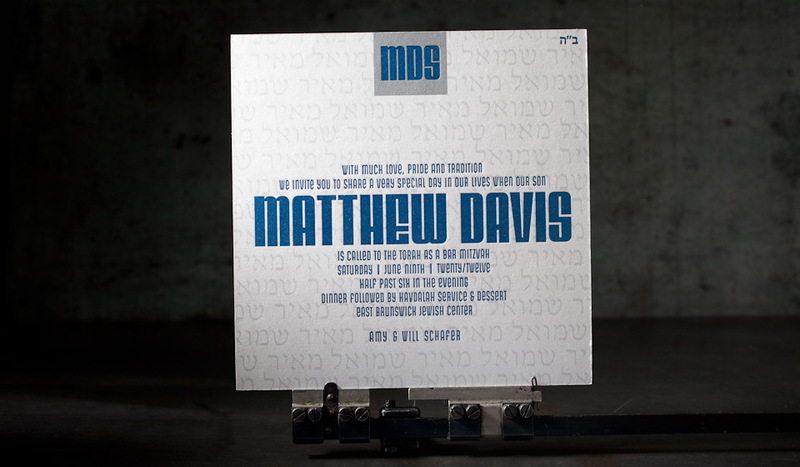 1 letterpress ink (navy 294U), 1 offset ink (silver 422U). 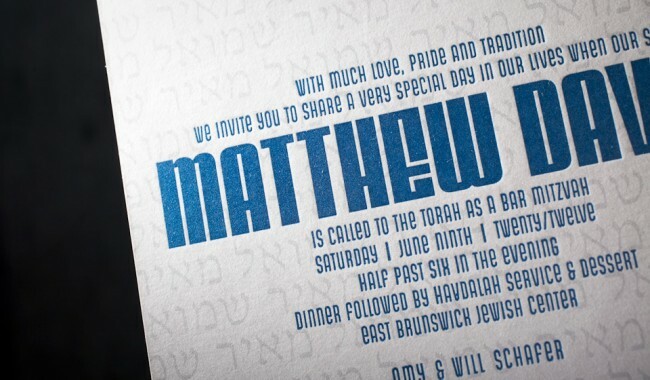 printed on our Heidelberg Windmill 10 x 15 and our Heidelberg GTO 52.
the bar mitzvah Invitation (7” square). duplexed 2-ply bamboo paper and Stardream metallic paper. edge painted in metallic silver.